1. A DNA test proved that Bigfoot is a part-human hybrid…and deserves U.S. citizenship! Two conspiracies for the price of one! In 1973, Pennsylvanian UFO researcher Stan Gordon said he noticed an increase in sightings of Sasquatches entering and exiting extraterrestrial vessels. Fascinated by the possibility that the mysterious primates may actually hail from another planet, Gordon quickly set up a “UFO-Bigfoot Hotline” that still runs to this day. 7. Sasquatches appear in the Bible. A few modern creationists have argued that the giants briefly mentioned in the book of Genesis were actually early Bigfeet. 8. 10 percent of Sasquatches might be gay. Cryptozoologist Loren Coleman recalls having once “lightheartedly wondered aloud if 10 percent of the Bigfoot population, matching the figures we have on Homo sapiens, might be gay.” Days later, he was shocked to discover a slew of angry e-mails denouncing him for calling “Bigfoot a homosexual.” You can visit Coleman’s official website here. 9. Sasquatches bury their dead. 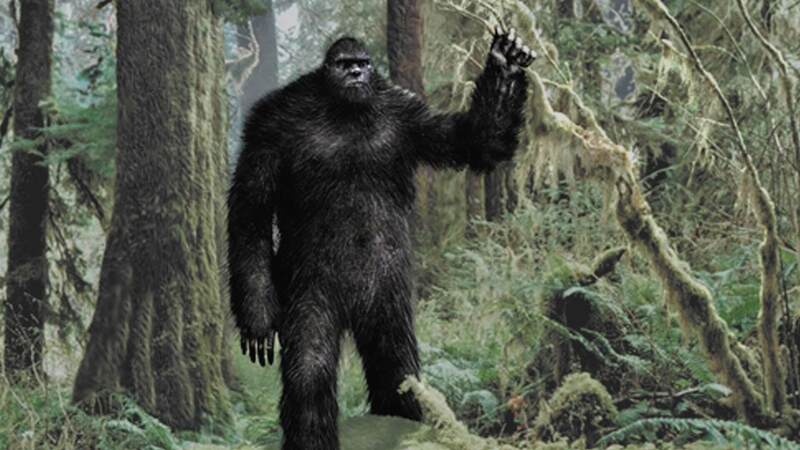 One of the most jarring questions for cryptozoologists is: “If Sasquatches are real, why don’t we ever find their bodies?” Many believers argue that, not unlike modern elephants, the elusive apes actually bury their dead. For a lengthy list of purported “sightings” of Bigfoot burials in progress, check this out. 10. The government captured a live Sasquatch in 1999. In 1999, a number of simultaneous fires ravaged Battle Mountain, Nevada. An injured Bigfoot was supposedly spotted in the carnage before being whisked away by government officials for treatment. A brief summary of the alleged event is available at the Sierra Tahoe Bigfoot Research Blog. 11. Bigfoot calls have been documented and can be easily mimicked. Believers feel that Bigfoot calls are diverse and distinctive, as evidenced in Animal Planet’sFinding Bigfoot series. Here’s another in which the program’s host, James “Bobo” Fay, shows off his Sasquatch roar to a confused Conan O’Brien.